As promised here is a sneak peek at all that is new at Lush Cosmetics for Summer 2014. I never go into Lush with a set idea of what to purchase, rather I like to take my time, browse, ask questions and become inspired. Yet having said that I never seem to make it out the store without a lump of soap. I wouldn't say I'm a soap person (Oii I bathe on the daily...cheeky) but there is something magical about Lush Soap. 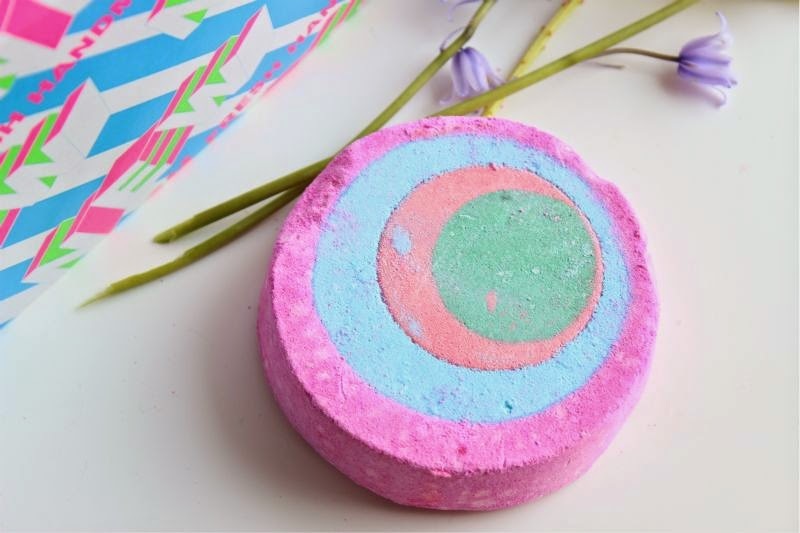 Two new soap additions which I'm guessing are limited edition include Magnificent which is a bright, cheery cirtus come tropical scent soap that is for use on the hands and body. In my opinion it smells like fresh mango sorbet and as it is fairly moisturising it is perfect to use in place of shower gel. 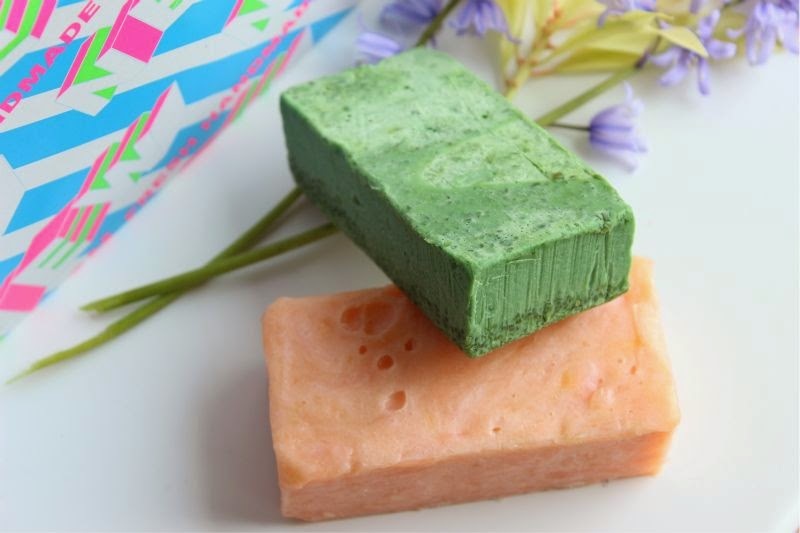 Next up we have Lush Parsley Porridge Soap which on paper is not something I would normally gravitate towards - herbal with notes of thyme and sage as well as oatmeal for exfoliation. Oddly it has a fresh almost grass like scent and as it is antibacterial I find it to be perfect for at the kitchen or bathroom sinks. From what I have gauged this is again for the hands and body. 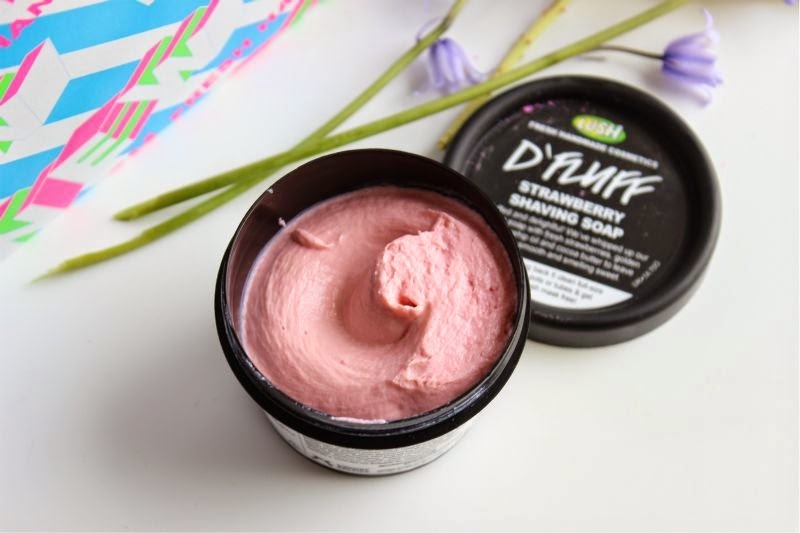 Summer is a coming and you may be on the look out for something to de-fuzz those pins (winter fur is totally acceptable) enter Lush D'Fluff, a whipped shaving soap that can be used anywhere. This soft, almost mousse like textured soap lathers up fluffy, feels soft on the skin and makes shaving a breeze. It does contain an abundance of cocoa butter and rosehip oil to ensure that the razor not only glides over you skin but to be skin softening too. It has been scented by fresh strawberries but due to the high content of cocoa butter I feel chocolate covered strawberries is a more apt way of describing the fragrance. Good enough to eat also springs to mind. 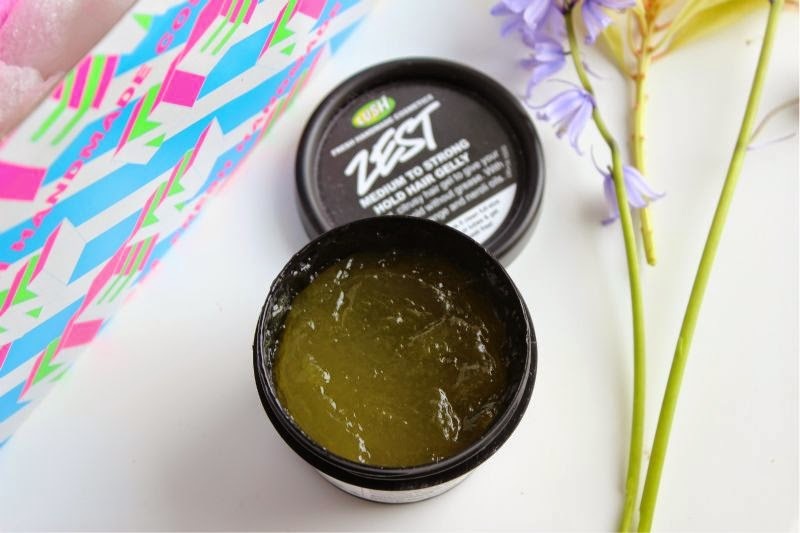 Next up we have Zest which is a medium to strong hold hair gelly - yes it feels exactly like jelly you would snack on as a child. Being called Zest it of course has a strong, fresh and sharp lemon scent which I would deem to be entirely unisex - truth be told I can see this product being favoured more by men than women. The idea is that you scoop out a small amount of the hair gelly, rub and warm in the palm of your hands before applying to your hair for good yet weightless and non-stiff hold. I have used this once to make a top knot look more polished and I have to say no complaints - it wasn't sticky, greasy or noticeable in my hair. As far as hair gels go this get's a thumbs up from me. Summer tends to mean dry skin - well at least in my instance it does (must stop sunbathing) so I was glad to find out that for Summer 2014 Lush have a new body conditioner - Lush African Paradise. Now this is an easy peasy way to moisturise your skin and really does take the fuss out of soft skin, to use you simply wash as you would in the bath/shower and then apply this all over your body, leave for a few moments and tah-dah super silky skin. Genius. I know Nivea have a similar product but the Lush version so far seems to be more effective. 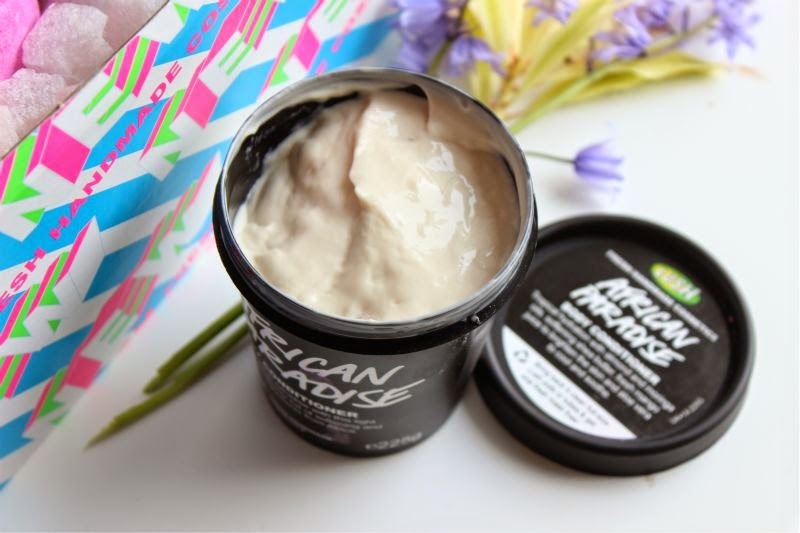 Lush African Paradise has a soft almost talcum scent but contains oodles of shea butter, mango juice and aloe vera to cool and soothe the skin. If you take one Lush product on holiday this Summer let it be this. Lastly I have the Granny Takes a Dip Bath Bomb, which is huge in size - colossal would be the best way to describe how large it is. A bright almost psychedelic design that has been created to put a smile on your face. This contains ginger, lemon and pepper notes but don't let that put you off as the fragrance is bright, cheery and very much fruity. In my opinion it smells like old school fruit salad sweets. 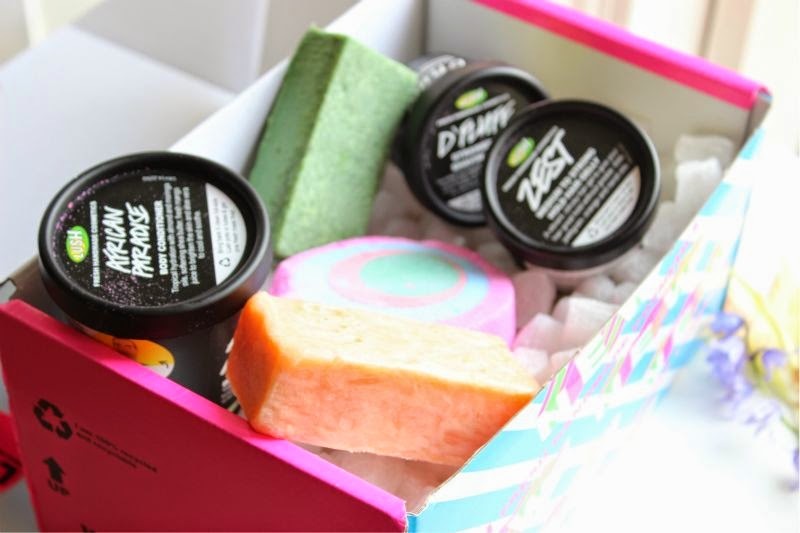 You can find all the new Lush Summer 2014 products here - link and of course in store.